Welcome to your guide to some of the key policy developed for the WA State election. Every four years, voters are bombarded with a plethora of policies intended to turn heads and gain votes. There are clear differences in the methods different parties have to create their policy. The Labor party has created 200 Fresh Ideas for WA (#tbt to the Shorten’s 100 Positive Policies). The Liberals have a website with all their policy ideas listed and The Greens have kept it short and simple – with nine key WA Initiatives. So regardless if you want quality or quantity, there is likely something for you in this upcoming election. Considering the theme of Labor’s policy launch was ‘WA jobs first’ and their claim they will create 500,000 new jobs for Western Australians, we can all hope for some pretty good job-creating and job sustaining policy plans. One of the key policies is their 20 Year Infrastructure Strategy – a plan facilitated by Infrastructure WA to encourage investment by increasing investment security. One million dollars per year will be spent revamping the Industry Capability Network to support local business. More than $400 million will be spent on promoting WA as a tourist destination and further funding will go towards agriculture and fishing industries . Overall there is a focus on delivering more jobs to WA citizens through construction, tourism and developing the economy to rely on more than one industry. The Liberal’s continue to claim to be the only party with solid economic management – despite many voters feeling they wasted the economic gains from our most recent mining boom. They claim more than 4,000 jobs can be created through a mix of construction and redevelopment work outlined in a variety of policies, including finishing Yagan Square, building an open range zoo, building a new museum and support for apprentices and traineeships. The large gap between Labor’s claim to job creation and the Liberal party's is likely due to the time frame of the policies. Labor’s extends into 2027 whilst the Liberal party is focused on a smaller time frame. The WA Greens will aim to create around 61,000 new jobs by 2030 via the promotion of TAFE and technical education and jobs in green energy. Jobs in construction and installation, operations and maintenance and manufacturing of clean energy power plants will account for the majority of this – approximately 12,000 new jobs per year through the Energy 2030 initiative . A further 5,000 will come from the creation of a solar power plant in the Goldfields region. This policy is the only truly environment focused policy that will steadily foster economic growth for this election. Labor is heavily affected by workers unions, whilst the Liberals are distracted by business interests and denying the existence of climate change. If re-elected, the Liberal party will partially privatise Western Power. This would occur through the sale of more than half of the existing power poles and wires utility through a share market float. This should raise approximately $11 billion – with $8 billion dollars going towards repaying state debt and the remaining $3 billion being put towards schools and transport infrastructure (like the Freight Link). Opinions on the value of privatisation vary depending how the urgency of fixing the budget deficit is perceived. Labor has formally stated that it will not sell Western Power if it is elected this year. The Greens continue to push sustainable energy solutions. Jobs and economic growth are always a huge factor in deciding who to vote for. The Liberal’s mismanagement of mining royalties over the last several years is a major factor in making them the underdogs in this election – here’s hoping we can either diversify our economic base, lest we rely on a miraculous upswing in demand for mining products. Two of the major issues for health in this election are mental health and methamphetamine usage. More than a quarter of young people (16-24) have experienced a mental health disorder in the last twelve months  and this election has seen some policy for mental health developed to promote education on mental health issues and establish clear government roles in improving mental health care services. Most politicians are concerned about drugs and alcohol – mostly meth - with Western Australians injecting $2 billion of it a year . The most important promise Labor has listed in their health policy includes the creation of a Mental Health Ministry. This will ensure there is a consistent approach to the improvement of mental health education and medical support in the state. Other spending will occur to create Medihotels to bridge the gap between patients leaving hospital and going home, as well as Urgent Care Clinics relieve some of the pressure on hospitals. They will also attempt to legislate for the use of medicinal cannabis. Labor’s Meth Action Plan is based on policies already implemented across the globe. They will establish two new treatment centres, introduce rehabilitation prisons and update school drug education programs . The Greens understand the importance of mental health and the importance of affordable quality healthcare for all Western Australians, however their health policies are mostly concerned with drug usage. The Greens party will decrease meth use by “cracking down” on drug dealers and traffickers. They want to decriminalise the possession of all illicit drugs– directing those found possessing drugs to health clinics. They also will implement a Royal Commission into issues around drug crime. The Liberals have little policy on mental health and have concentrated spending on Perth Children’s Hospital and the redevelopment of the Joondalup Health Campus. Other positive policies include the development of a new quadriplegic centre, further support for the NDIS and more funding towards health treatment at home for patients. The Liberal’s plan to fight meth involves harsher penalties for dealers and traffickers (with minimum mandatory jail terms) and involuntary rehabilitation for meth and other drug/alcohol abusers. They will spend on specialist drug and alcohol nurses at hospital emergency departments, police departments, courts and prison expansions . These policies all aim for the same result – reduced drug usage and better health care – but the methods are completely different. Whilst Liberals focus on crime and punishment and spending on construction, Labor focuses on education and treatment of drugs and new legislation and ideas. The Greens aim to decriminalise drug use and rehabilitate users with little policy around improvement of current systems. Equity and discrimination are important issues for many Australians. WA is made up of people from more than 190 countries that identify with more than 130 religious groups, making it a true cultural and spiritual melting pot. An effective policy on equality and discrimination is essential for a safe and harmonious society. Labor’s policies will reform access laws for the mentally impaired. They will introduce further changes to reduce the abuse and neglect of citizens. They are also prioritising issues such as domestic violence, health gaps between Aboriginal and rural communities and LGBTI+ rights. The “Stand Together” initiative from the Greens involves plans to improve on legislation that supports multiculturalism to create a base to protect the rights of multicultural communities. They will increase funding to stopping domestic violence and create a range of programs that will both conserve the environment and increase employment in rural areas through a Ranger Parks program. The Greens also continue to support LGBTI+ rights. The Liberal party will spend $8 million to create a Multicultural Facilities Fund to build or refurbish facilities for multicultural groups. If re-elected they will also remove the Statute of Limitations for victims of child sexual abuse- this means that there will no longer be a time limit for victims of child sexual and physical abuse to take legal action against perpetrators. They plan to increase provisions for not-for-profits, like the Salvation Army, to provide hostels for homelessness and develop a state-managed National Disability Insurance Scheme (NDIS) that is consistent with the schemes in other states around Australia. These policies would all make a positive impact on WA by promoting diversity and equality, creating a more inclusive state for everyone. The only way to really distinguish between the parties here is how they prioritise their policies – which is difficult to understand before an election. It’s a safe assumption that equality is more of a central issue for the Greens than the Liberals – with Labor sitting somewhere vaguely in the middle. Two very different policies have developed to promote transport in WA. The priority for Labor is METRONET, a plan to build a circle line of trains and light rail to link up suburbs. This should do wonders for anyone wanting to go between suburbs and should save them from going into the city centre, then back out again. It will develop new train lines, new train stations and line extensions and improve bike paths. The first stage should cost around $2.95 billion with the key funding coming from both State and Federal governments, and land sales. 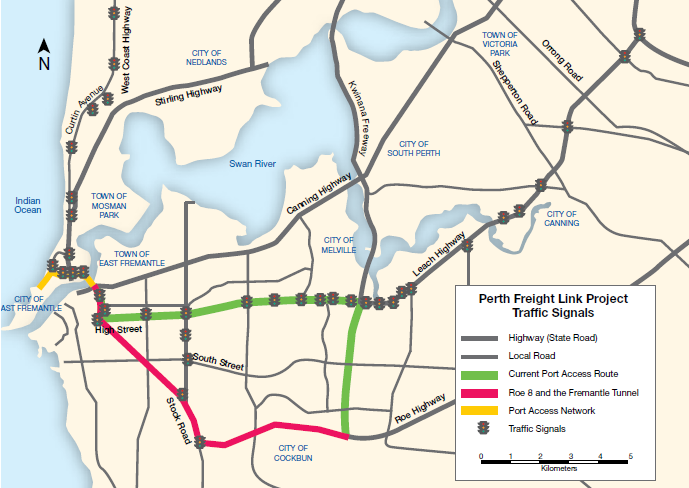 The Liberals are promoting the creation of the Perth Freight Link Project. This would be the largest road infrastructure project WA has ever seen, made up of three key stages. The first stage – the Roe Highway Extension or Roe 8 – is already under construction. This section is set to destroy a large proportion of environmentally unique swampland, making it a highly contentious issue. Claims have been made that the key purpose of the road – to improve congestion and safety will not be met. Labor and the Greens do not support this policy due to the huge environmental impact it will have on said wetlands, as well as the impact on Indigenous cultural sites. If a Liberal government is re-elected it is likely the second and third stages, in the form of the Fremantle Tunnel and a Roe Highway Upgrade, will complete the project. They have also outlined a plan to further develop public transport to airports and selected train lines – but little on interconnectivity between suburbs. The Greens seek to modify transport in Perth – with plans to reduce congestion and reduce our dependence on cars through investment in public transport. While there are no clear outlines as to how this is to be achieved, we can expect continuous lobbying for a more sustainable transport lifestyle. Labor’s policy is heavily affected by workers unions, whilst the Liberals are distracted by business interests and contemplating the existence of climate change. With WA still so heavily dependent on the mining industries for income and employment, and with voters themselves more concerned about jobs and avoiding inevitable economic fluctuations, there is little chance viable environmental policy will develop in the next few years. Youth voters are one of the least politically engaged demographics in the nation . We’re excellent at calling out flaws in America’s voting but seem to have few cares about the views and actions of our own politicians. This could be due to several reasons – a lack of engagement in state politics, being busy working or studying when we should be voting, a lack of understanding around the importance of voting, and feeling that politicians just aren’t interested in our opinions. We tend to lean more towards less conservative parties – ones that focus on social change and environmental concerns – and we also tend to be outvoted by much older demographics, despite the fact that we’ll be living with decisions made for decades to come. This state election is exciting and will make a difference in how our government is run. Safe seats that haven’t changed hands for years are suddenly dependent on tiny voter margins. Preference deals have also changed drastically and even more minor parties have emerged to attempt to steal seats. The only thing that hasn’t changed is the style of political campaign launches (a little painful to watch) and hopefully the cheap sausage sizzle to go with your voting card. Get out there and vote, if only so the hours I spent researching this article didn’t go to waste. Sophie Harwood is the President of the University of Western Australia (UWA) Politics Club, and is studying a Bachelor of Commerce, majoring in Economics and Political Science & International Relations.